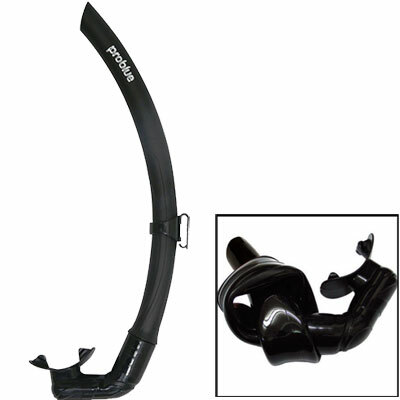 Folding breathing tube system with TPE material manufacturing, is an excellent stretch, and a high mechanical toughness of plastic material. Breathing tube does not swell in water, under ultraviolet light will not turn yellow. Diver breathing tube when not in use it can be folded away and then removed as necessary. Has a high elastic restoring force is not afraid of bending, moderate hardness of the wall, will not cause vibration during breathing.